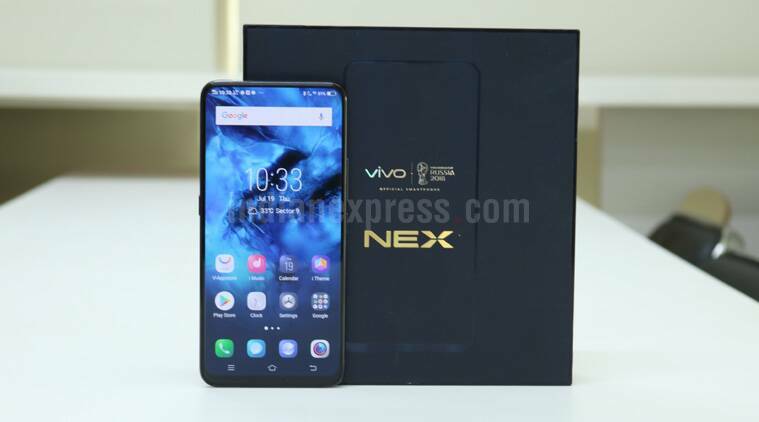 Starting the year with good news for its customers, Vivo has reduced the price of the Vivo Nex₹ 37,990 by Rs. 5,000. The smartphone was launched in July in India, and was priced at Rs. 44,990 back then. The smartphone’s price has been cut across channels, which means it will be sold for Rs. 39,990 online and offline. Vivo has confirmed to Gadgets 360 that the price cut is permanent across channels, and is not a part of a sale for a limited period. Vivo Nex will now retail for Rs. 39,990 across online and offline stores in India, as the price has been cut permanently by Rs. 5,000. The new price is already reflecting on Amazon India, and Mumbai-based retailer Mahesh Telecom has also confirmed the price drop separately. Alongside the price drop, as part of its Vivo Carnival Sale, Amazon has listed no-cost EMI options, exchange offer of up to Rs. 21,000, and 5 percent cashback on SBI Credit EMI transactions. Even the company site lists the Vivo Nex with the new price, and is offering free Bluetooth headphones with the purchase. Other offers include No Cost EMI options up to 12 months, exchange discount, and 5 percent cashback on HDFC Credit Cards and EMI transactions.